Everything related to the Interaction Design Institute Ivrea in Milan. 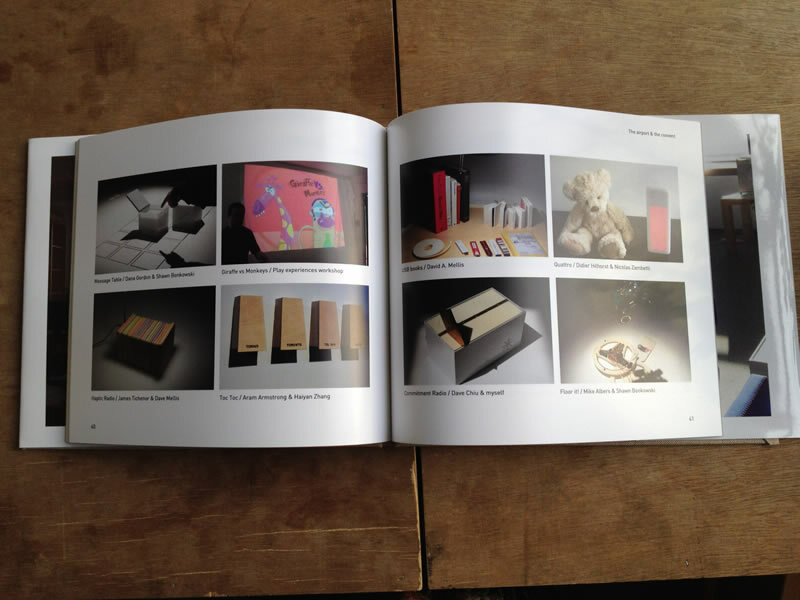 In a sacrilegious mood, I decided to clear up the old iPhoto a few weekends ago and stick a bunch of pictures of my time at the Interaction Design Institute Ivrea (where I came up with Good Night Lamp back in 2005) into a book. I used Blurb and it’s turned out rather nicely I’d like to think. If you’re interested in this little piece of interaction design history or are a fan of Olivetti buildings in Ivrea (like the AA is apparently) then this might rock your boat. It’s a 52 page book split into 5 sections: Ivrea, Talponia, Blu House, Milan, The Work. All of the pictures used are mine and that’s what made the work quick. I saw the Bauhaus exhibition last month at the Barbican and frustrated by the lack of pictures of students I thought I’d try to tell IDII from my perspective. It was a rather special sort of place. I didn’t want to write a history book, but rather a photo-journal of my experience there. Hopefully even my former colleagues would enjoy it. I decided to publish all the update emails I’d sent back home during my first year in Ivrea. It’s all there, the sweat and the tears, so if you know how to read french, enjoy. The convent and the airport. Nick posted this promotional video for IDII, made in 2004 or 5. It’s been so long but seems so fresh in my mind still. Like a dream you can’t wake up from. Interaction Design Institute Ivrea from Nicholas on Vimeo. The building in which i spent a year (should have spent 2) is for rent…. there are no words for the anger and bitterness i feel. Not sure how I feel about this latest announcement of the RCA‘s new Head of Department Tony Dunne. 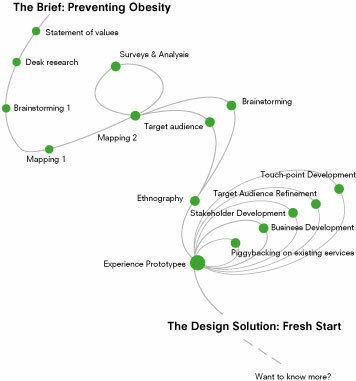 The Interaction design department (which apart from IDII and Umea was the only other school teaching a less Xerox park approach to the field is renaming itself “Design Interactions”. “The focus of the department is shifting, and although electronics and computing will remain at the heart of the course, we will begin to explore how design can connect with other technologies, such as biotechnology and nanotechnology. The course has been restructured to reflect this shift and was validated in March 2006. Design Interactions is a small change, but we think it is significant. It reflects our emphasis on designing interactions of all kinds – not just between people and digital technologies, or even other emerging technologies, but also between people and possible futures, and between design and other fields of art and science. At the last summer show, we characterised the thrust of the department as follows: ‘Design Interactions explores new roles, contexts and approaches for design in relation to the social, cultural and ethical impact of existing and emerging technologies. Projects, which are often speculative and critical, aim to inspire debate about the human consequences of different technological futures – both positive and negative. Students work closely with people outside the College, designing for the complex, troubled people we are, rather than the easily satisfied consumers and users we are supposed to be. Project outcomes are expressed through a variety of media including prototypes, simulations, video and photography. The students have backgrounds in art and design, computer science, engineering and psychology.” from Regine’s wmmna. I think there is something very sad here which is the loss of a focus on making technology more usable and more human in every form. Physical computing is one of the ways in which that can present itself. And a field which turn inwardly toward catering to less and less consumer-relevant ideas, quickly slips into the realm of art. If the disappearance of IDII and this shift in the RCA are to indicate a trend in my field, then i wish everyone would support CIID‘s growth even more. In Europe and the UK, there needs to be a space for professionals to learn to understand people, their needs, the business opportunities that design can bring, that fosters the growth of user-centered design in meaningful and playful ways, instead of veering towards the edges of the Bell curve and become design “comments” like the world of product design has become. I wont be attending Emergence but I had the pleasure on working on illustrating our design process for the poster session where Fresh Start will be presented and i suddenly found it a fascinating exercise. How do you represent what starts out by being boxes and arrows and make it compelling? I had to think about the flow of the process for one. We went through some design steps that influenced the way we analyzed prior assumptions (so the loop) and iterative processes around core design elements (around experience prototyping for example) that completely shaped the final product. So I tried to convey the dynamic essence of that process without losing sight of the visual flow i wanted to keep, i.e. some respect of a left to right, top to bottom way of reading. So what i came up with eventually was reshaped because we had a lot of copy to include for each step as well as pictures, but i still really like the visual illustration of 7 weeks of hard work, that solely focuses on process and not on detailing the service. On an academic level it’s really interesting and worthwhile. I’m finally done writing.. which says nothing about the work i have left to do to prepare for the end of year show…hmm so much to do so little time. With the global growing concern around sustainability and over-consumption we find ourselves having to question our relationships with high-tech personal devices and the business models that support that industry. Using the mp3 player as a case study, this thesis proposes to explore the design opportunities that surface when we design high tech devices with forgotten behaviors, community, status and emotional attachment in mind, using textiles as a way to display history and emotionally rich platforms. Stint is the result of this. A music sharing service made of physical tokens that represent links to people’s virtual music that are coupled to a widget that talks to the main music application. Each “stint” represents one friend and is made of leather. By giving it to a friend, one links it to the main player, collecting the stints into a network. By pressing each one, a song from that person’s music collection that she has sent it to you, is played. A song can be sent to a friend by holding both the stint containing that music and the one representing the friend we want to send it to. As you interact with the stints the ones with a richer interaction get used and worn, showing history of the relationship. The online widget will show the listening the origin of each song as well as who you have sent it to and how often they have listened to it since receiving it. This builds a visualization that will help you choose better or more appropriate music for that person or to discover what they’re musical tastes are. Stint creates a meaningful relationship between the user, the container, the content and how they affect each other, allowing for richer and long-term relationships to exist with high-tech devices. Oh my god I’m graduating in a month!!! So much to do. I have a review on tuesday afternoon to present to my advisors Jan-Christoph Zoels and Heather Martin what i intend to present and develop for the exhibition.